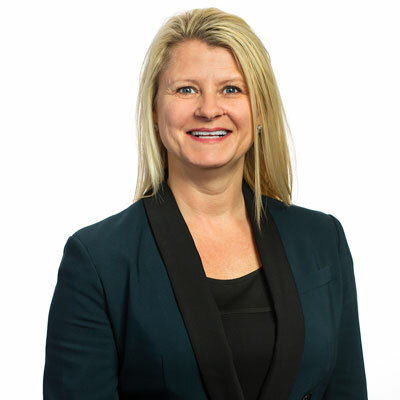 Petty has been with SYNNEX for more than 25 years, holding various positions including Sales Representative, Product Manager, and U.S. Field Account Executive Sales Leader. She helps enable resellers across the U.S. by increasing SYNNEX' breadth of purchasing power within the vendor community. Petty works with vendors and partners to expand SYNNEX' reach. Her team is responsible for more than 13 percent of SYNNEX revenue for a select group of partners. Outside of work, Petty is involved in giving back to her community through working with SYNNEX Share the Magic, March of Dimes, Friends of Pickens County Guardian and Litem, Mary's House, and SYNNEX F2F, a community for women in IT. Petty has increased face time with customers to better deliver information about SYNNEX solutions and overall value-add. Such activity has given SYNNEX both deeper and more widespread reach within its customer base, resulting in increased sales across the SYNNEX portfolio. Petty and her team have developed events that are focused around vertical segments and solutions, allowing partners to walk away with new solution offerings to extend to their customer base. Petty heads up the Secret Sauce events across the U.S., which give customers a complete understanding of the value SYNNEX brings to the channel. Due to the transformation we are seeing in the channel, we will continue to expand our breadth and depth with our partners. We will also continue to better understand our partners' strategies so we can help them grow. Our goals are all about new business and opportunities and helping our partners along the way. We will also continue to look for net new partners by leveraging key relationships with our vendor community. With more vendors acquiring other companies, this will result in net new partners and business overall for SYNNEX. Xerox CEO Ursula Burns, the first African-American female CEO of a Fortune 500 company. Ursula is a dynamic and strong woman who offers real world advice to other women in the IT channel. Focus on your education and experiences - they will help guide you through your future. Take on adventures and do something different - this will help you have a more well-rounded life and have experiences you look back on and appreciate later in life. In the IT business world, engineering would be a great skill to have under your belt. Understanding how a product functions gives you the understanding and skills for selling products and solutions. Enemy of the State by Vince Flynn - this is a great, suspenseful book with lots of adventure and thrills.